We have all been there. The accidental delete. The format. The ‘oh no, I do need that folder!’. We have all been guilty of deleting files and folders by accident on our computers. Easily done, especially in auto-pilot mode. Wondershare has the answer for people like you and me. 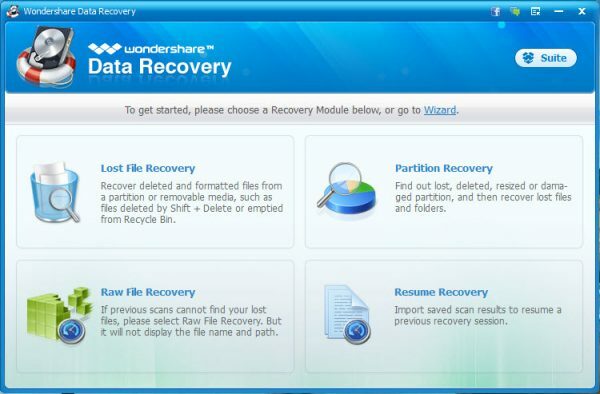 Using the Wondershare Data Recovery Software, you can easily recover any of your lost files. Accidental deleting such as ‘Shift-Del’ or emptying Recycle Bin without realising. Issues such as virus infection, hardware crash or invalid partitions. Documents such as Word files, Excel files, text files, presentations, etc. Image files such jpg, png, etc. 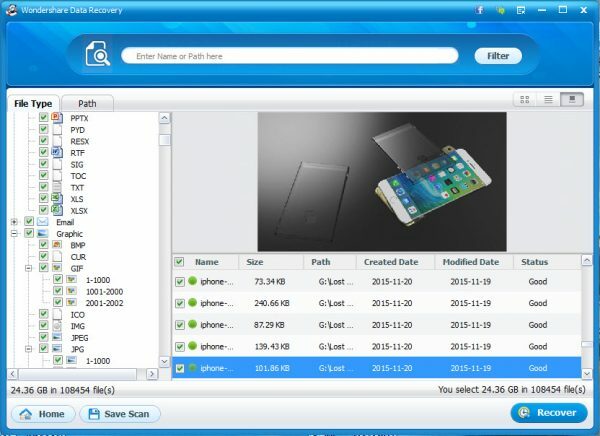 The software also offers a preview of the files being recovered, letting you see what you are about to recover before doing it. The file types that it can let you preview are image, document or archive. The software allows you to recover from all sorts of media, such as hard drives, USB sticks, memory cards, and even phones and cameras. It also offers recovery of all the popular file types, such as FAT and NTFS. The software offers 5 modes to cater for the non-techies among us. Raw recovery, to look at the whole raw hard drive. Resume Recovery, for when you want to carry on recovery at a later stage. 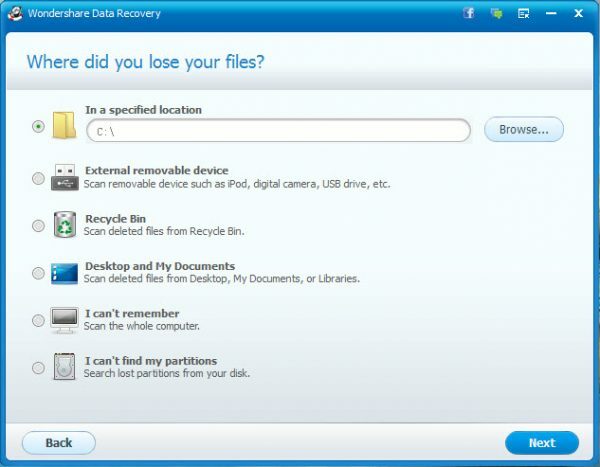 As an example, we will run you through the process to recover a deleted file from the recycle bin using this software. A more thorough tutorial can be found on the link. To recover a lost file, the easiest way is to use the Wizard above. Just click on it in the software. On the next page, click the type of file you want to recover. On the Next Page, just select where you want the file to be recovered from. In our case, this would be the Recycle Bin. The software will now scan your hard drive for deleted files. When the scanning finishes, just choose the ones you want. You can also click on a file to preview it, so you know what you are recovering. Choose a location to place your recovered files, and voila, they are there! More information on the software can be found on the Wondershare website. You can buy the software for $49, or try a free version to see if it is worth your while. The free version only lets you recover up to 100MB though. 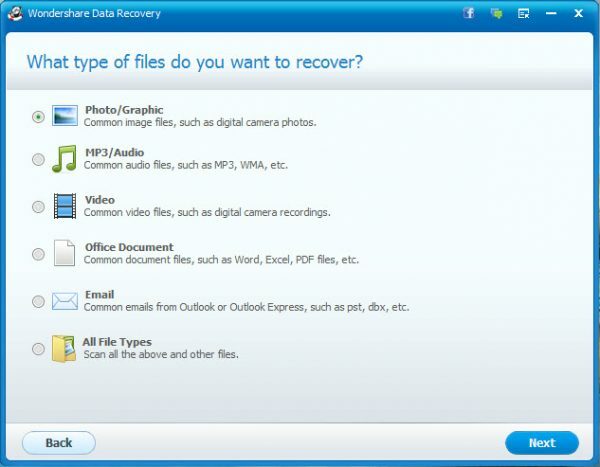 Overall, the software offers a pretty convenient way to recover any lost files. The ability to download and try a free version is great too. Especially since most images or silly mistakes are often less than 100MB.